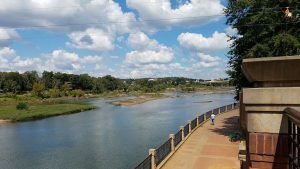 Looking for things to do with kids in Columbus, GA? The Fort Benning area offers an array of free and affordable activities to give your kids a memorable day out. Don’t see your attraction or favorite Colga spot on our list? Shoot us a message and we’ll add it! Woodruff Park, 1000 Bay Ave, Columbus, GA 31901: This riverside park offers a playground with a rubber ground perfect for little kiddos. Pound a drum inharmony musical garden, and when you’re finished, check out rafters and zip-liners on the riverwalk. Tip: Wear a bathing suit in the summer months for a splash pad. There’s a nice, open green-space in front of Columbus State to play ball. Cooper Creek Park, 5089 Cooper Creek Parkway 31907: provides guests with access to a walking and fitness trail, playgrounds, picnic areas, grills, and covered eating areas, as well as horseshoe courts and one of the top clay court tennis facilities in the country. Tip: Pack a lunch for a pondside picnic. 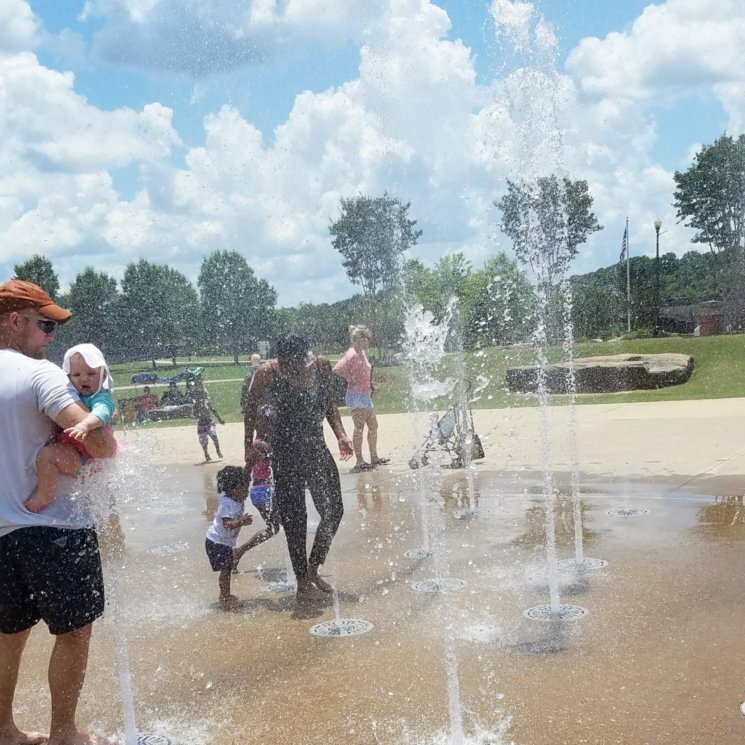 Flat Rock Park, 6106 Warm Springs Rd, Columbus, GA 31909: Great spot for water play, dog-friendly, shaded playground and a large area for walking. Tip: Pack bug spray for the wooded areas. Weracoba Park, 1505 Cherokee Ave, Columbus, GA 31901: Huge playground, a great area for walking around the park, shaded areas, large tennis courts and more! Tip: Bring sports equipment and take advantage of the football, baseball and tennis fields. Columbus Museum, 1251 Wynnton Rd, Columbus, GA 31906: Their slogan is “always changing, always free” so if you haven’t been lately, check back! Plus, they have a dedicated children’s section, and many kid-friendly events. Tip: They’re closed on Mondays. When you visit, be sure to check out their garden. Coca Cola Space & Science Center, 701 Front Ave, Columbus, GA 31901: Space museum offering simulators, film screenings & observation events appropriate for all ages. Tip: The shows in the omnisphere change monthly, so check their show times and come back often. 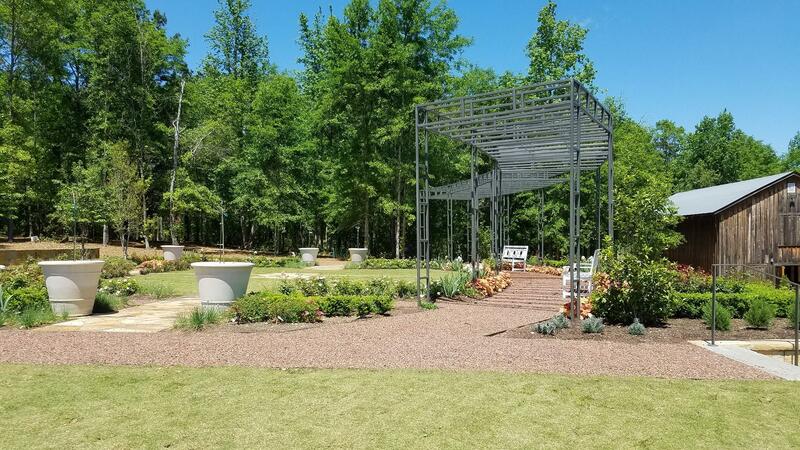 Botanical Gardens, 3603 Weems Rd, Columbus, GA 31909: Enjoy nature at this 22-acre botanical garden featuring fountains, flowers and a walking trail. It’s peaceful, secluded and offers lots of space for kids to burn energy. Tip: Pack a lunch and sit in their courtyard. It’s restful and there’s enough green space for the kids to frolic. National Infantry Museum, 1775 Legacy Way, Columbus, GA 31903: Voted best free museum in the country, the NIM is just that, the best and free. See a collection of more than 70,000 artifacts from the last 240 years of American military history. A must-see for history buffs. Tip: Plan to take in an educational documentary in their BIG theatre while you’re there. Idle Hour Park, 900 Airport Rd, Phenix City, AL 36867: A beautiful park equipped with a walking track built around a beautiful lake and offering a nicely shaded, dog-friendly nature trail. Tip: Bring food for the ducks, a towel for the seasonal splash pad, and keep your eyes peeled for turtles in the water. Chattahoochee Valley Libraries, see website for locations: With seven locations throughout the valley, there’s a library near you. While you’re there, loan out educational toys, attend a free event or utilize their free wifi. Tip: After a trip to the main Columbus Library, hit up the dinosaur playground located directly behind the library. This fenced-in playground is exciting for all ages. Warm Springs Fish Hatchery, 5308 Spring St, Warm Springs, GA 31830: Check out a small, indoor aquarium and get a close-up look at gulf striped bass, sturgeon, alligator gar, and more. 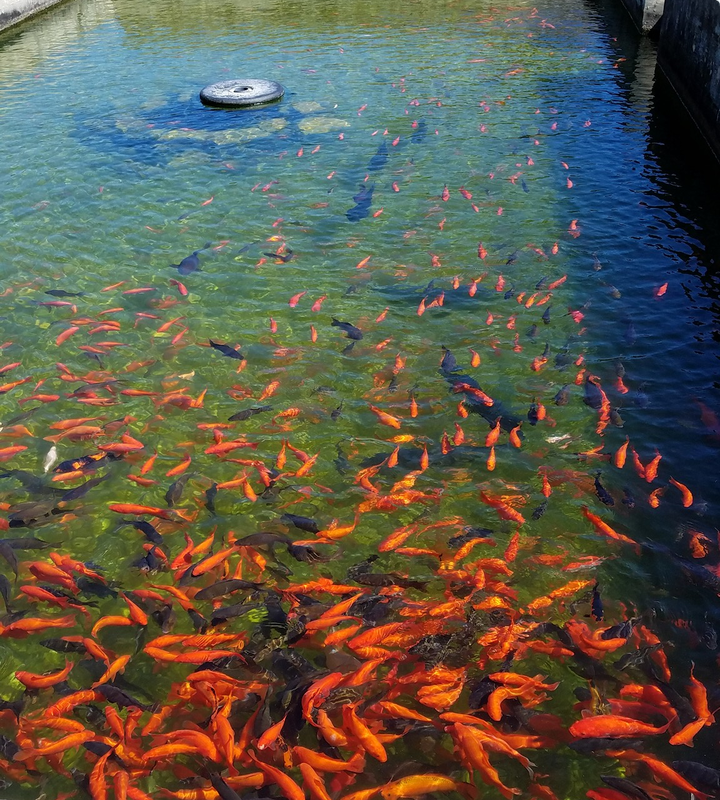 Walk the premises and feed tons of different fish. The water comes alive as hundreds of catfish open their mouths waiting for a tasty treat. Tip: Bring lots of quarters for fish food. Oxbow Meadows, 3535 S Lumpkin Rd, Columbus, GA 31903: Take a hike, check out area wildlife, and learn a little bit about nature at Oxbow Meadows. Tip: Check their calendar, they often have paid and free family-fun events. Columbus Aquatic Center, 1603 Midtown Dr, Columbus, GA 31906: Beat the cold or the heat at this indoor pool. Equipped with a zero entry ramp plus a separate pool with lap lanes, it’s a great way to catch a splash. Tip: All summer long the aquatic center will have a floating obstacle course set up on Saturdays. Columbus Ice Rink, 400 4th St, Columbus, GA 31901: A multi-purpose ice rink with skating activities for amateurs to professionals. Tip: Hours vary; check their website for public skate times. Stars & Strikes, 7607 Veterans Pkwy, Columbus, GA 31909: Bowling, arcade, laser tag, lunch and bumper cars. S&S provides a day’s worth of fun. Plus, they’re right next door to Launch Trampoline park! Tip: Check their website for specials, including $.99 bowling on Wednesdays! 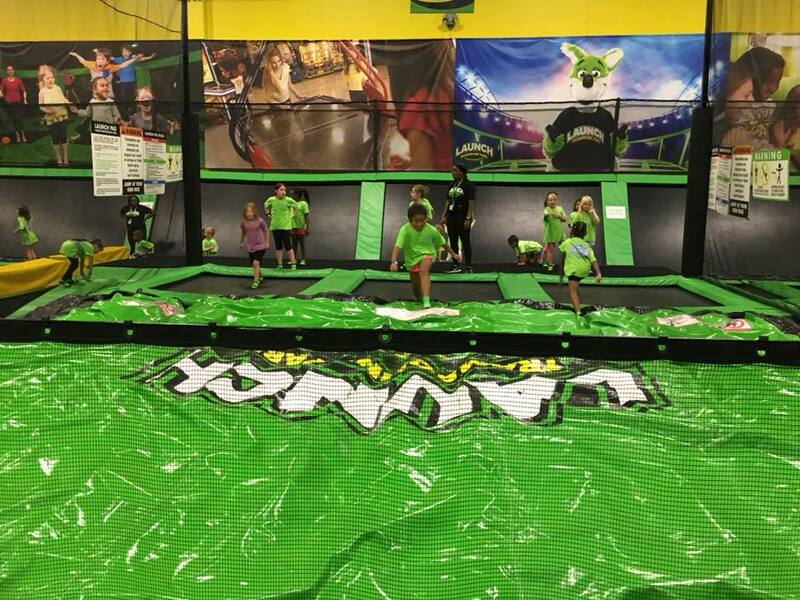 Launch Trampoline Park, 7607 Veterans Pkwy, Columbus, GA 31909: Launch has 16,000 square feet of bounce space! Plus, a four-story climbing gym equipped with slides, tunnels and more! Tip: Check their website for money-saving deals, such as $10 toddler time on Saturday mornings and $15 glow night on Fridays. Peachtree Mall, 3131 Manchester Expy, Columbus, GA 31909: Offers a toddler enclosed play area, coin-operated ride-ons, bungee jump, and a multi-level carousel. Tip: Check their website for family events. Bareware Pottery, 3912 Woodruff Rd, Columbus, GA 31904: This cozy pottery studio is fun for all ages and experience levels. Pick out your piece, starting at $10 (no studio fee) and paint away! Tip: Check their Facebook for events, including paint-til-ya-faint, kid drop-offs and storytime with themed painting get-togethers. Hollywood Connection, 1683 Whittlesey Rd, Columbus, GA 31904: A roller rink, small, indoor mini golf course, arcade, and laser tag. Enough to keep the family busy for the day! Plus, AMC movie theatre is a door over. Tip: On Tuesdays and Thursday Hollywood Connection offers $12 unlimited play wristbands. Ride-on-Bikes, 1036 Broadway St, Columbus, GA 31901: Rent a bike to explore Columbus. Visit the Riverwalk, enjoy ice cream at Kilwins, and take in the beauty of the historic homes downtown. Call ahead for child carriers! Tip: Dragonfly trail provides 34 miles of riding trails in the Columbus, GA area! Callaway Gardens, 17800 US-27, Pine Mountain, GA 31822: Callaway is constantly offering family-friendly events. But on a non-event day, try the treetops course, relax on their beach or rent a boat for some water sports excitement. Tip: In the off-season, Callaway offers a nationally renowned Christmas display called Fantasy in Lights. Rock Ranch, 5020 Barnesville Hwy, The Rock, GA 30285: Founded by the Chick-fil-a family, Rock Ranch is a working cattle ranch offering farm-fun. Pony rides, paddle boats, a tiny town and more. Rock Ranch allows families to disconnect and enjoy the outdoors. Tip: Bring lots of water. It gets hot on the ranch! Wild Animal Safari, 1300 Oak Grove Rd, Pine Mountain, GA 31822: Come face-to-face with a camel, a watusi, a zebra or hand feed an American bison right from your own car. You’ll see elk, water buffalo, giraffes and more running free. Tip: The animals pop their heads right into your car! If you like your vehicle slobber-free, rent one of theirs! Be sure to follow us on Facebook for the latest information on kid-friendly activities and events! 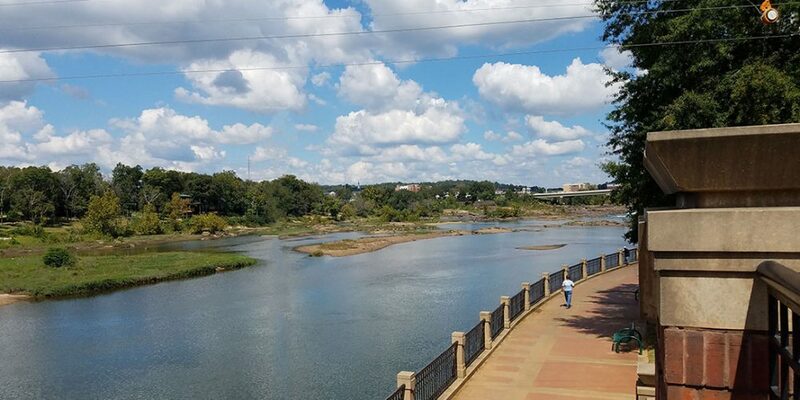 Looking for things to do with kids in Columbus, GA? Designed with families and budget in mind, our guide will keep you busy.